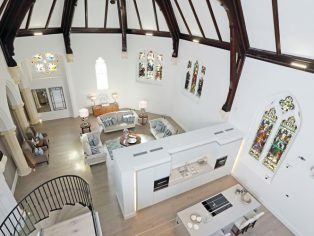 Housing developer, Beechcroft, has chosen Gaia’s low-temperature hot water underfloor heating (UFH) system to create a warm, comfortable living space inside a former chapel. Forming part of Beechcroft’s award winning Fitzroy Gate development in old Isleworth, West London, the chapel was designed in 1901 by the renowned ecclesiastical architects, Pugin & Pugin, in the Gothic Revival style. 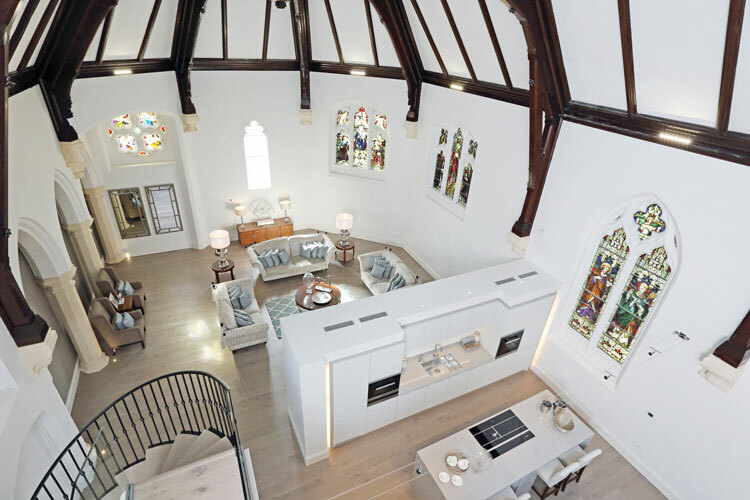 Beechcroft’s Special Projects team spent months on the careful renovation and conversion of the chapel to create four luxurious new homes which retain nearly all the original features, including stained glass and vaulted ceilings. The advantage of underfloor heating (UFH) in such instances is that, by filtering up through the floor, it warms the occupants of the room rather than the airspace. In any case, says Ben, Beechcroft installs underfloor heating in virtually every one of its developments. “We’re very customer-driven and the market wants UFH. It frees up space inside the home, creates a comfortable environment and is very efficient. In most new-build projects, underfloor heating is installed within a screed laid on top of a concrete floor. However, at Fitzroy Gate, Gaia installed its low-temperature hot water (LTHW) system between the original timber floor joists, with aluminium thermal plates from Autron Heating Products to distribute the heat evenly and reflect it upwards and into the room. Grooved overlay was also used on the existing sub-floor at 25mm where the sub-floor could not be lifted. According to Ben Goss, Beechcroft installs Gaia’s UFH systems in approximately 80 per cent of its developments.